UPatch is an easy to use, permanent industrial floor patching compound. 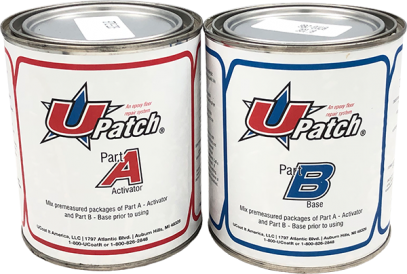 This two-part epoxy crack filler dries rock hard and is designed for shallow repair on either vertical or horizontal surfaces. Use it to fill floor cracks, gouges, chips, holes and minor rough spots. 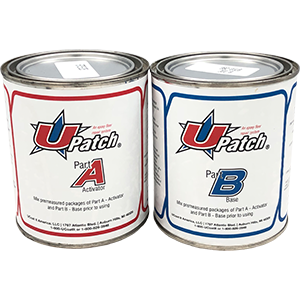 UPatch comes in light gray or beige and is applied between bond and finish coats of the UCoat system. 2 Gallons - .26 cubic ft. Available in Gray only. 2 Quarts - Provides approximately 614 lineal ft. at 1/8"bead or .065 cubic feet. Choose Gray or Beige.